The holiday season begins in earnest this week. We’ve got great movies for you to see, either on your own or with family, on Thanksgiving weekend! Three potential fall blockbusters open this week, and there’s a veritable cornucopia of great choices still in theaters as well. Here are all the movie choices you have this Thanksgiving weekend. 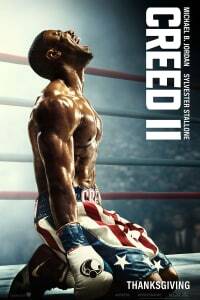 The story of Adonis Creed (Michael B. Jordan) and Rocky Balboa (Sylvester Stallone) continues in this sequel to the 2015 hit. A shadow looms from the Creed family past. Viktor Drago (Florian Munteanu), the son of Ivan Drago (Dolph Lundgren), challenges the world’s most popular young fighter. And since Ivan is the man who killed his father in the ring decades earlier, Adonis can’t say no. 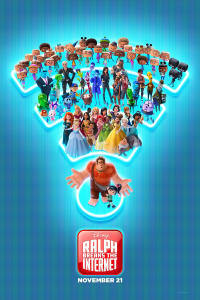 The sequel to WRECK-IT-RALPH finds Ralph (John C. Reilly) and Vanellope von Schweetz (Sarah Silverman) going on an adventure in the wilds of the internet. They’re in search of a replacement part that will keep Vanellope’s game Sugar Rush from being unplugged forever. They find a whole new world that pushes them to grow in new ways. 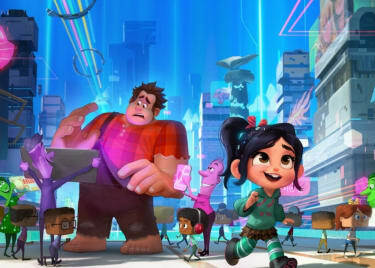 Change is good, but with it comes a difficult evolution in Ralph and Vanellope’s friendship. Taron Egerton (KINGSMAN) plays the outlaw who robs from the rich and gives to the poor in this action-heavy take on a legend. 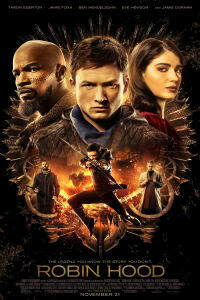 Jamie Foxx plays Little John, the compatriot from the Crusades who works with Robin of Loxley to take down the villainous Sheriff of Nottingham (Ben Mendelsohn). The cast also features Jamie Dornan, Eve Hewson, and F. Murray Abraham. The real attraction, however, is the very modern energy injected into the familiar story. The late journalist Marie Colvin spent her career covering war zones all over the globe. She found stories of overlooked and subjugated people, and used her own power to shed light on terrible situations. Rosamund Pike (GONE GIRL) plays Colvin in this film based on the Vanity Fair article “Marie Colvin’s Private War,” and it shows Colvin’s complicated and at times conflicted nature. A PRIVATE WAR follows her to Syria, where she and a photojournalist played by Jamie Dornan are thrown deeper into the horrors of war than ever before. 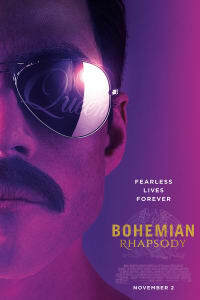 The band Queen finally gets its due on the big screen! Rami Malek is electric as singer Freddie Mercury. BOHEMIAN RHAPSODY traces Mercury’s history as an immigrant and outsider who found global superstardom on stage. The film looks at Mercury’s private life, and reveals how many of the band’s biggest hits were created. Are all of the stories 100% true? With this much energy, it doesn’t matter. 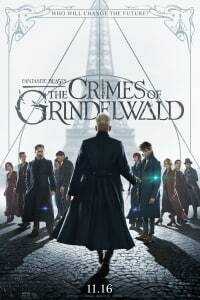 Newt Scamander (Eddie Redmayne) returns in a story that follows him to Paris, where he comes face to face with the escaped dark wizard Grindelwald (Johnny Depp). All the villain wants is for magical peoples to have dominion over all others, no big deal. At the same time, the powerful Credence (Ezra Miller) searches for the truth about his own past, not realizing that the answers might put him right in the sights of Grindelwald, who wants Credence’s power for his own. In this film named for the Green Book — a segregation-era publication guiding black travelers around racist businesses and towns — Mahershala Ali (MOONLIGHT) plays Don Shirley, a pianist touring from Manhattan to the Deep South in 1962. 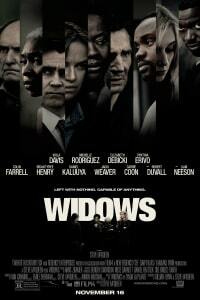 He hires a New York bouncer, Tony Lip (Viggo Mortensen) to work as his driver. The two men forge an unusually strong friendship on the road as they navigate the South. 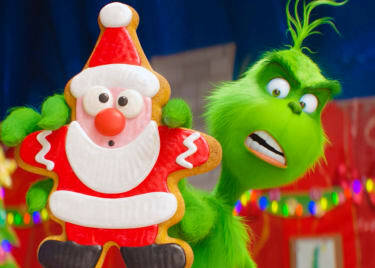 The wonderful Dr. Seuss tale of a grump and his Christmas awakening is told with an all-new spin in this animated delight from the creators of DESPICABLE ME and MINIONS. 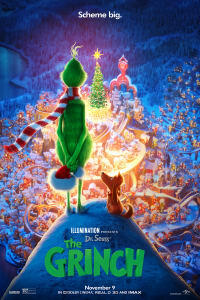 Benedict Cumberbatch (DOCTOR STRANGE) voices the Grinch as he targets the happy Whos in Whoville, and their joyous Yuletide celebration. When a couple played by Rose Byrne and Mark Wahlberg goes to a foster adoption center they end up adopting not one but three children: teen Lizzy (Isabela Moner) and her two younger siblings Jan and Lita (Gustavo Quiroz and Julianna Gamiz). 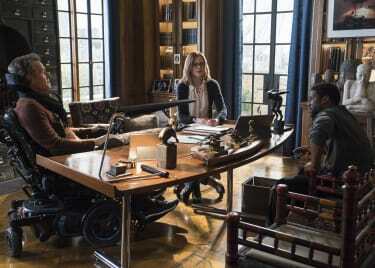 Even with a lot of help from social workers played by Tig Notaro and Octavia Spencer, the instant family of five has to learn how to live and grow together. Their adventure is hilarious and heartwarming, and based on the adoption experience of director Sean Anders. In this bold take on the heist movie, four women make a daring criminal plan in order to get out from under the thumb of an underworld figure. These women have some deeply personal motivation, as their husbands were killed during a botched job in which they stole money from the same guy forcing the widows to pull off their own score. Viola Davis, Michelle Rodriguez, Elizabeth Debicki, and Cynthia Erivo star in this riveting new movie from the director of 12 YEARS A SLAVE.